A bathroom remodel comes second to a kitchen remodeling in adding value to your home. Aside from its economic thrust, it brings in a fresher look and ambience to your sanctuary. More so, it can be a great way to pamper yourself as you start the day or after a long day’s work. Start with your renovation plans today and check out these eight remodeling ideas. Today, almost every bathroom improvement includes a vanity. The vanity’s use is typically threefold: it holds your sink in place, hides the plumbing, and provides storage. It can be mounted or free-standing, and is celebrated for its functionality and aesthetic value. Your vanity can be made of stone or wood or both. Most contemporary vanities use stone materials like granite for the countertop and wood for the cabinetry. Common sink choices include vessels, pedestal, floating, and under-mounted sinks. The most preferred sink today is the undermount known for its sleek look and ease of cleaning. Vessel sinks remain an option for a dramatic flair. 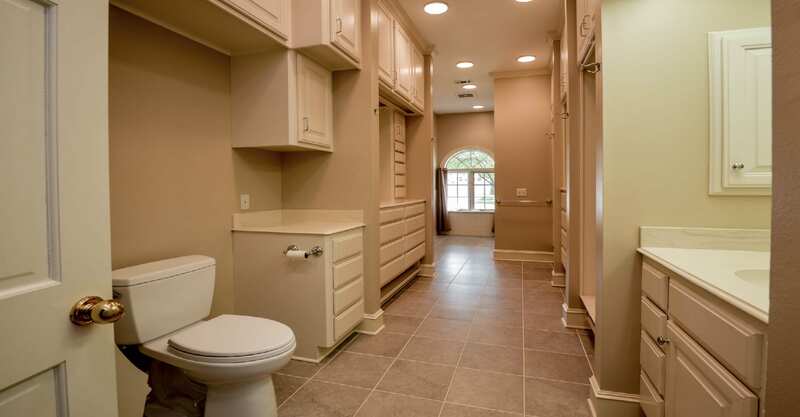 Storage is always at a premium in a bathroom. When designing, it is a good idea to list everything that you want to store in the bathroom and design according to those needs. Most storage is provided by cabinetry including vanities, linen cabinets. As you crease your inventory list, indicate where in the bathroom each item goes down to the drawer. This will ensure that you end up with enough storage space and a countertop that is less cluttered. A major decision for your remodel is windows. They provide natural light, ventilation, visual appeal, and connection to the outdoors. Connection to the outdoors can be tricky, as the bathroom is typically considered the most private room in the home. Privacy strategies include shutters, obscure glass or glass blocks, and even private gardens. But it is worth every effort because you just can’t beat natural light. One element that we discourage in our hot humid climate is a skylight. Though they have a great appeal, most people will not find that appeal worth the cost when monthly utility bills are considered. 80% of a home’s energy is lost, or in our climate gained, through the roof. Skylights provide a significant amount of heat gain in our climate. Re-tiling your floor is another point of consideration when remodeling your bathrooms. There are infinite options when mixing and matching accents and trims. Tile is a common choice for floors, tub surrounds, showers, and backsplashes. It allows for color, texture, and size considerations. For the floor, we recommend either small tiles, especially in the shower, or textured to provide a slip resistant surface. Contemporary trends use minimalist colors with the omnipresent white and complementary light, solid colors. Light colors work well for highly polished finishes as well as natural materials, and provide a cleaner feel. Neutral colors work well for small spaces and can easily be accented with accessories like towels. Learn 5 Key Reasons Why You Need a Remodeling General Contractor! The most common request we get in bathroom remodels these days is to remove a tub and enlarge or add a shower. Gone are the days when the major consideration was reselling value. After years of insisting that every bathroom had to have a bath and a shower, the real estate industry has realized that most people shower. Many are taking all tubs of their home while some maintain at least one tub for bathing children. While there are few things as relaxing as soaking in a warm tub, few have the time and those who do often opt for an outdoor hot tub. Toilets have revolutionized in recent years. Largely motivated by water conservation, we now have more styles and options than ever before. But, engineering has not always kept up with design. The number one complaint for toilets these days is the restricted functionality. The restriction to 1.6 gallons per flush is great for water conservation, but not always so great for getting the job done. Functionality varies from brand to brand. Most brands have typical functions while there others that work better. In our experience, every Toto toilet works well.